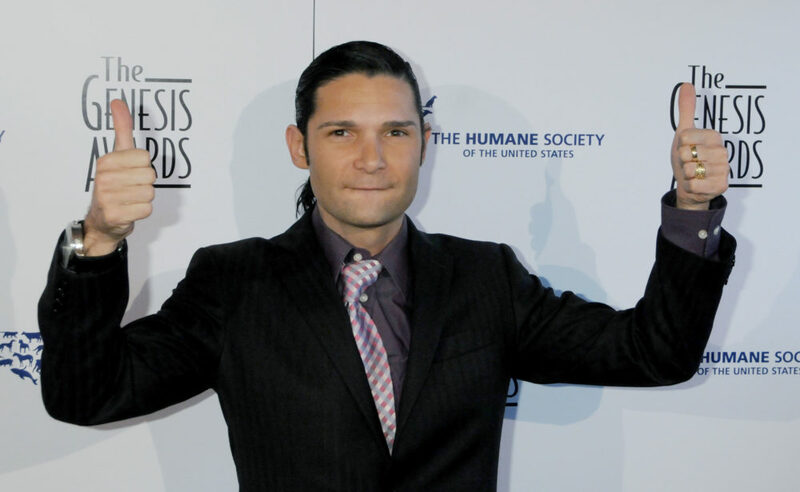 Last night, Tuesday, March 27th, actor Corey Feldman was allegedly stabbed in his vehicle while waiting with his security detail in Los Angeles. Luckily, it’s looking like he’s set to make a full recovery. The ’80s actor and former child star has brought us many laughs over the past few decades with hits like The Goonies, Gremlins, and License to Drive. And in light of recent news, many are now currently wondering: What is Corey Feldman’s net worth? Feldman appeared in over 100 commercials as a kid before finally landing his breakout roles in Friday the 13th: The Final Chapter and Gremlins (which made over $148 million). His other hits include Stand By Me, The Lost Boys (which also starred Corey Haim), and — of course — The Goonies. Feldman’s voice also appeared in the original live-action Teenage Mutant Ninja Turtles (holla, Donatello!). And Feldman is currently estimated to be worth $2 million. After producing a slew of other mid-level films in the ’90s, Feldman broke into reality TV with the first celebrity-driven reality series, The Surreal Life. The series featured a handful of celebrities living together in a mansion (basically The Real World, but with former ’80s and ’90s stars). In 2013 Feldman wrote a memoir entitled Coreyography, detailing his struggle with addiction, as well as the sexual abuse he experienced in the entertainment industry as a child. The recent stabbing news comes four months after Feldman appeared on Megyn Kelly Today to discuss his goal of raising $10 million for a documentary that would expose pedophiles working in Hollywood. Feldman also claimed that someone had tried to kill him as a result of his threat to expose certain people in the industry, saying, “This is no joke, I’m fearing for my life.” The fundraising project was later cancelled in favor of raising $100,000 for a truth campaign. Our thoughts are with Feldman and his family today.